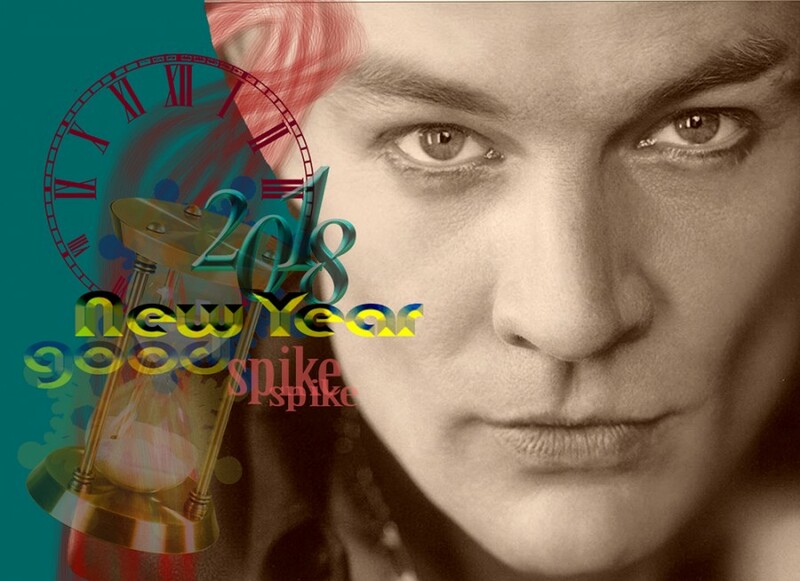 Hope you don't mind yet more NMCIL graphics - but I can't let this New Year go by without some new Spike and Noel of Spike greetings to all our Spike fans. Best Wishes to all of you for 2018. May Life Treat You With A Gentle Hand. More graphics are always welcome -- especially ones like this. That's an amazing close-up of Spike and the sepia works really well with the colours of the text and images. Best wishes for 2018 to you too! Yes - this is one of the best promos ever of Spike - I plan to use this as my new Spike drawing. Also, my other project to learn this year is to finally make gifs with photoshop. Watched some tutorials yesterday and I'm eager to begin. Oh, I love this!!! I love the promo pic you picked and the graphics. Very nice job! Thank you for all your lovely comments - very much appreciated. Glad you like it - I was pleased with the results. Thank You and Spike is truly fantastic in this promo image - I sure am going to miss being able to watch the HD on Amazon. For all the negative comments about the wide format HD - I liked having it available with my Amazon account. I love this photo of Spike/JM. For making screencaps - while Hulu is streaming Buffy I have yet to figure out how to set the "pause" for a capture without getting the Hulu Logo to come up over the image. Anyone who wants to can still get these screencaps from Amazon, although the quality for Angel is no where as good as for Buffy until January 12 if you sign up for the Fullscreen channel which will be discontinued January 12. Very Much like your quotes Icon - would like to learn how to make my own - is this regular gif? I have no idea. It was made for me. I am not an iconmaker, sad to say. Thank You very much and thank you again for all your comments and checking out my submissions. Wish you a very good 2018.